Keep fine control of your costs and profits with our new tracking system. Easily track your cost per customer, your revenue, chemical tracking, and more! Create custom checklists for your customers' pools and spas. Make sure you don't miss a thing at your service stops! Go beyond tracking one set of chemicals for your whole business. Our new tracking worksheets give you more flexibility! 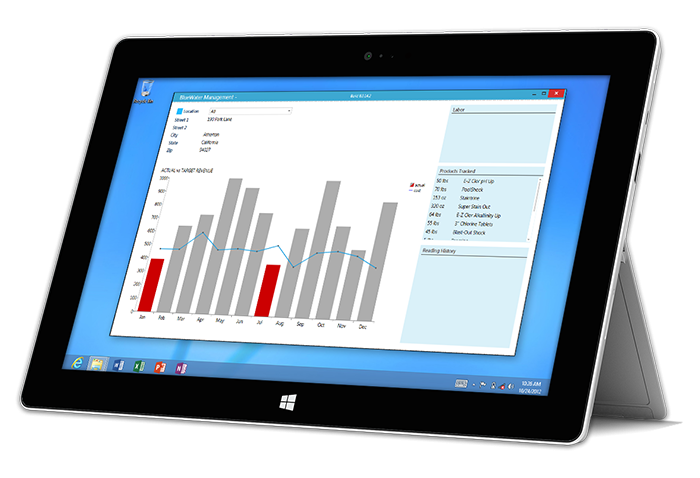 Pool Program 8 integrates tracking of labor costs for each of your customers' pools or spas. It's never been simpler to stay on top of your costs! Create custom testing templates to use on your worksheets. Get finer control of tracking your customers' water chemistry! With our new tracking dashboard, you can see at a glance your cost to revenue ratio for your customers, check their chemical usage history, and more! Tracking puts you in charge of your costs as never before!